Figure 2.1 — Reflection and transmission on a prism. 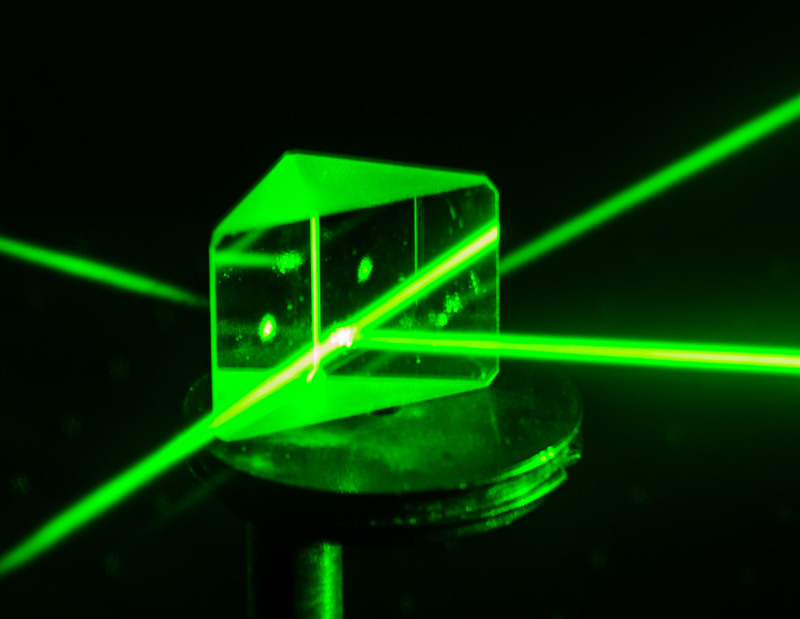 As a laser light beam impinges on a prism, it gets partly reflected and partly transmitted. The direction of the reflected and transmitted beams are different from that of the incoming beam. This change of direction entails a change of the momentum associated with the light beam and, because of the action-reaction law, a force acting on the prism. Picture credits: Marco Grasso and Alessandro Magazzù.